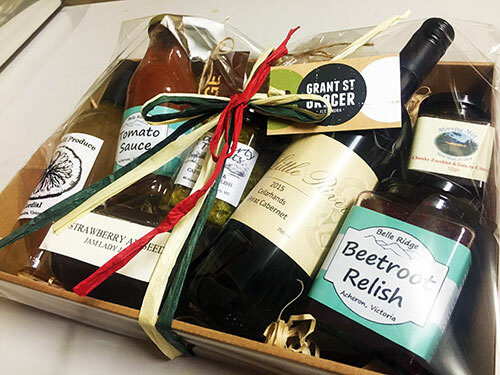 Grant St Grocer Gift Hampers are the perfect gift solution. 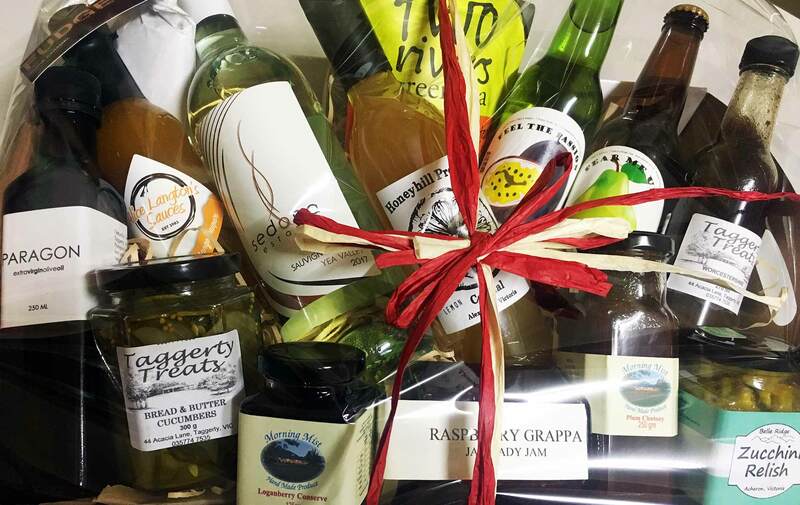 Packed full of beautiful local produce, our gift hampers are available in a variety of sizes to suit all budgets. 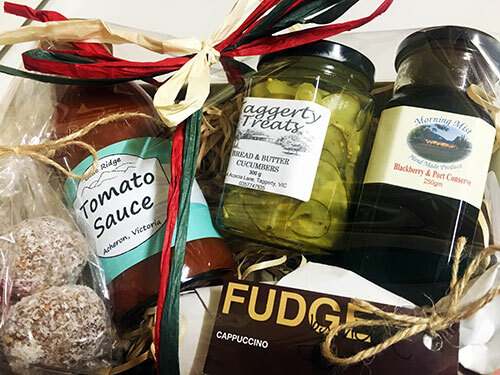 Ideal for corporate gifts, friends and family. 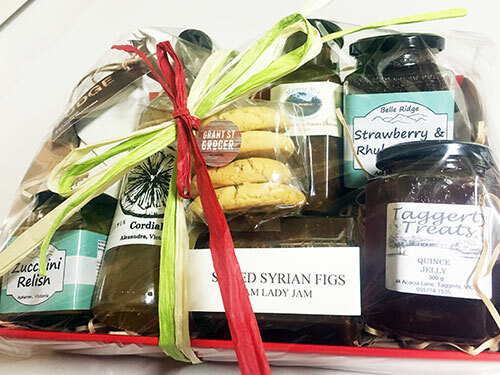 Choose from one of our packages below or contact us to have custom hamper made. 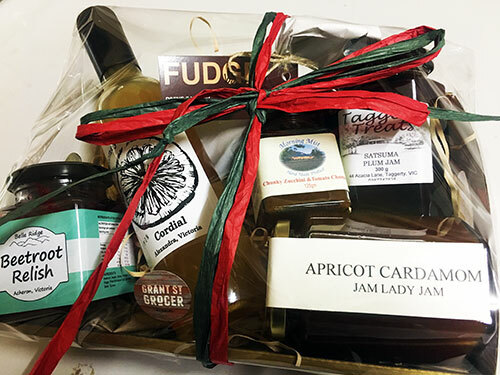 This season support local producers and small businesses – the life blood of our community! 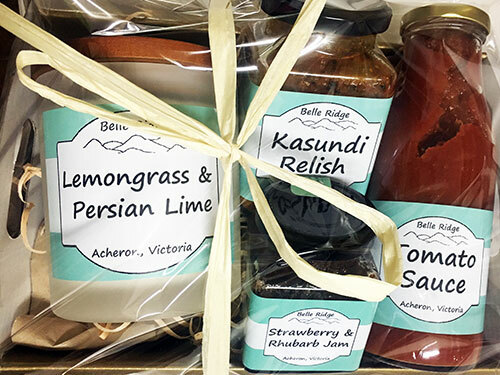 Place an order for our premium local produce hampers by emailing admin@grantstgrocer.com.au, or call us on (03) 5772 1526. Free local delivery available. 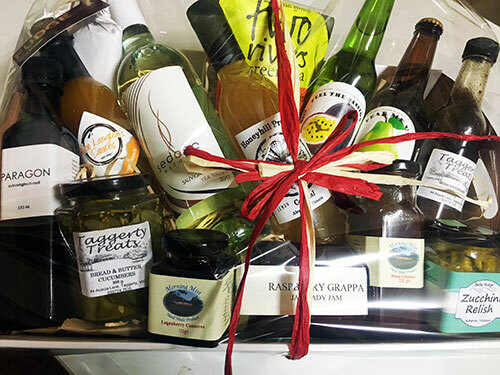 The ‘Grant Street Grocer Wine & Cider Hamper’ can also be delivered via Australia Post. Postage rates vary based upon location, so please contact us for a quote.